Surrounded by mountains and desert providing spectacular scenery and a warm climate, Las Vegas has become one of the fastest-growing cities in the United States and is sought after by many for its cost of living, no state income tax, and a wide variety of recreation opportunities. The City is seeking a Director of Parks and Recreation who will be responsible for planning, directing, managing and overseeing the activities and operations of the Department including general and adaptive recreation, park reservations and rental events, after-school recreation programs and activities, municipal sports programming, and senior citizens and youth activities. The ideal candidate will be a proven parks and recreation professional with experience in large, diverse urban environments. Strong candidates will possess a strategic orientation, exceptional leadership and management skills, and a strong business acumen to establish best business practices. Candidates must have six years of increasingly responsible experience in recreation and park program development and implementation, including three years of administrative and supervisory responsibility. A Bachelor’s degree in recreation administration, physical education, public administration, business administration or a closely related field is expected. Experience in Cultural Affairs is a plus! 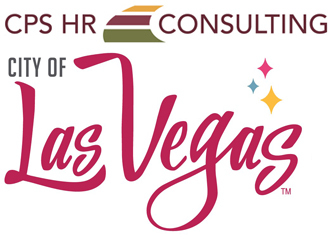 The City of Las Vegas is an equal opportunity employer.